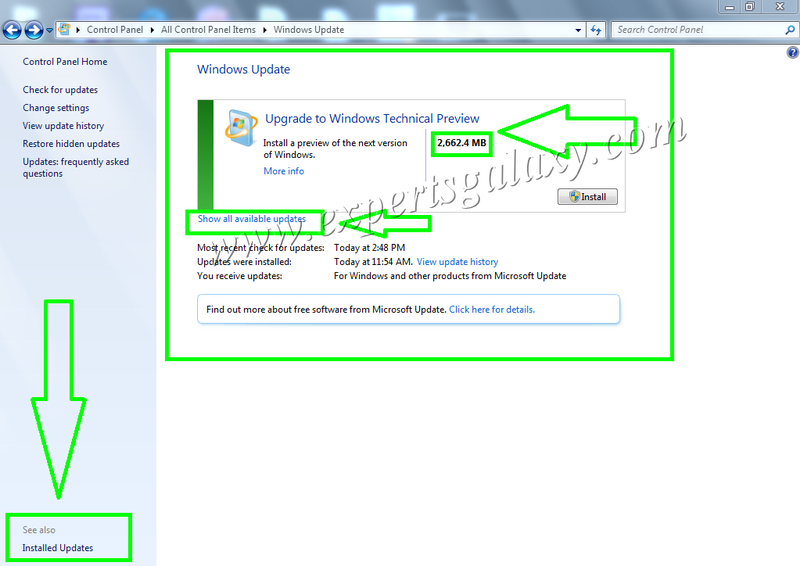 Microsoft is continuously following its trend to launch a new version of Windows after every 3 years. 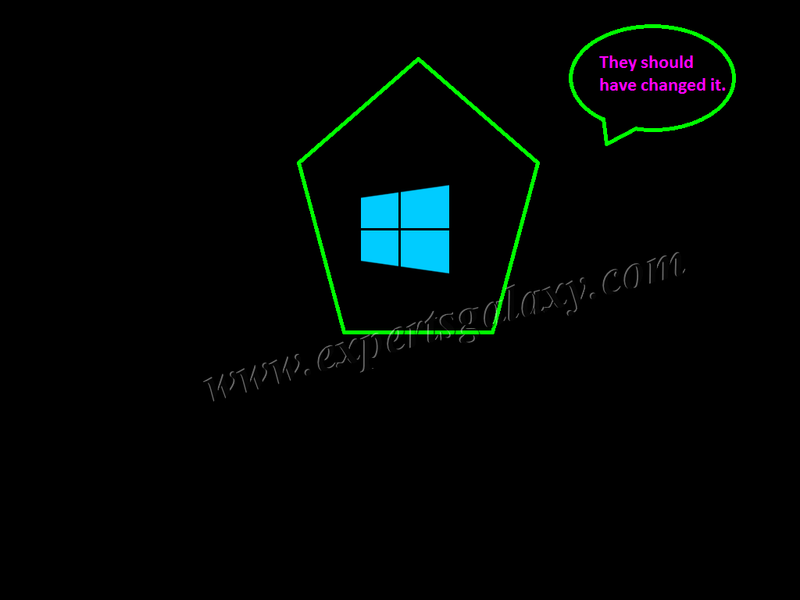 In the year 2007, they launched Windows 7 and then in the year 2012, they launched Windows 8. Now they are all set to launch Windows 10 in the year 2015. 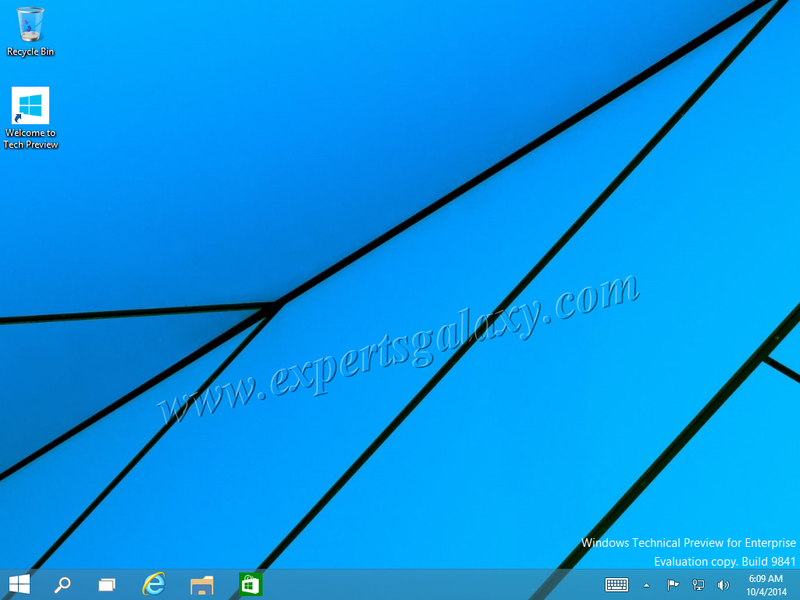 Recently they have launched Windows 10 Technical Preview Enterprise version so that users can test it. Microsoft has already ended the support for its most loved Operating System which was Windows XP and there was a need for another Windows as Vista was not appreciated that much neither Windows 8. It was the perfect time for them to announce a new version and they launched Windows 10. Rumors were there that it would be Windows 9 but because of a technical glitch or internal issues they named their new product as Windows 10 instead of Windows 9 to avoid the confusion of 9X era. No one knows the reality of naming it as version 10 but the logic can be understood a bit. If you will give a glance to the categories section on this blog then you might notice that it is lined up as Windows 7, Windows 8, Windows 98 & now Windows 10. So, Windows 9 could have created confusion among older versions. 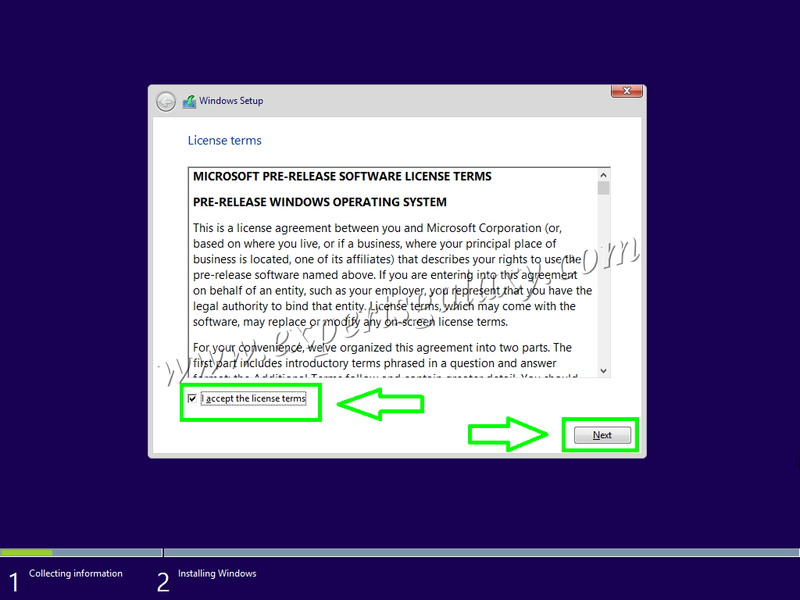 I have directly provided the download link else you need to login, register and then you will be able to download the Windows 10 ISO. 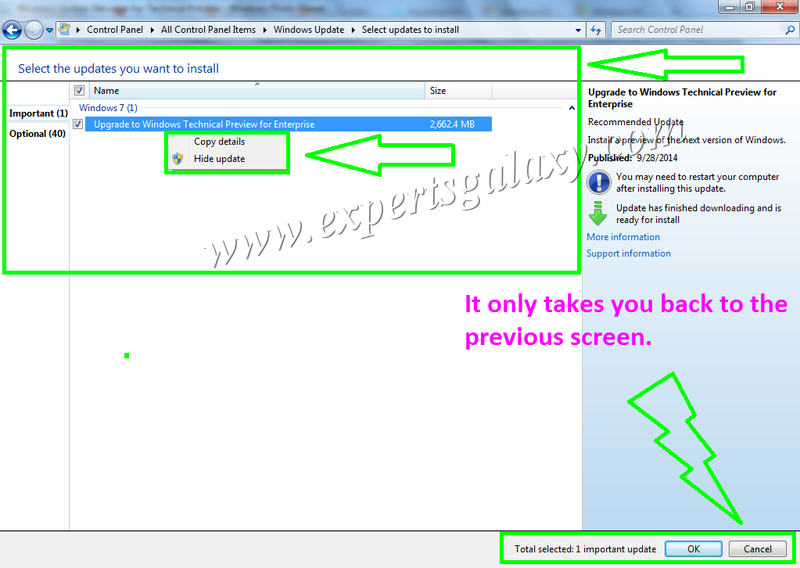 Microsoft also provides a 4 MB exe installer which can be downloaded by clicking on Get the upgrade button. Yesterday, I was working on something and along side downloaded the Windows 10 twice. 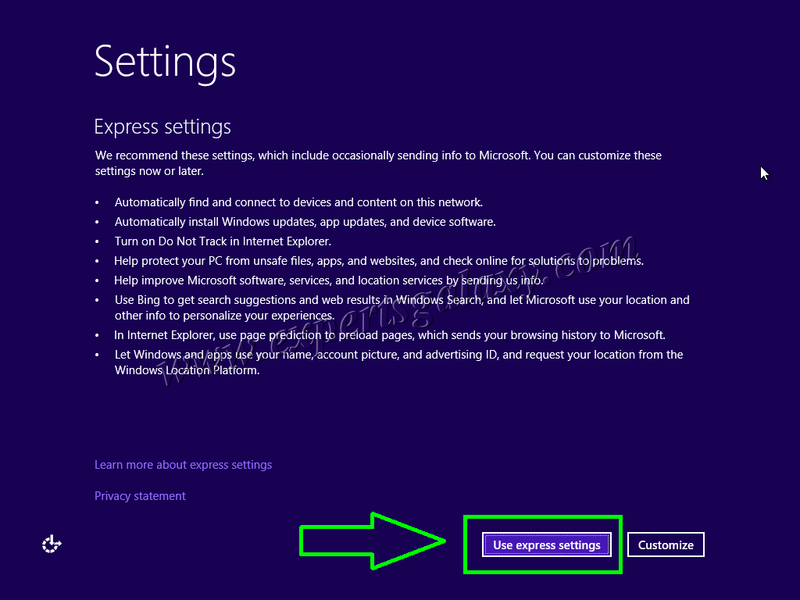 If anyhow you encounter the WindowsTechnicalPreview.exe file while browsing the web pages of Windows 10 then I advice you to skip that to avoid the problem which I faced as mentioned above. 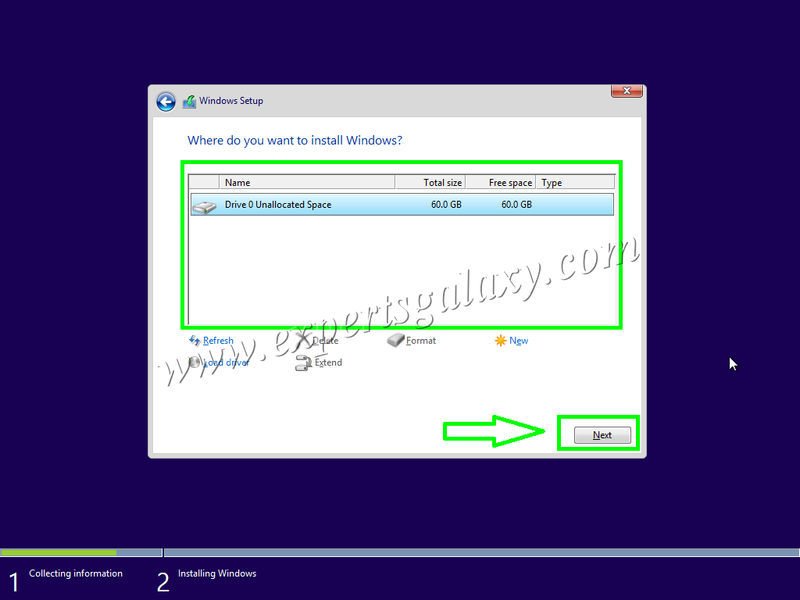 Once you have the ISO file, you can use a virtual environment to test the latest version of Windows and let us see the step by step procedure to install it. 1) Boot your computer using the DVD ISO of Windows 10 and it will come up with the loading screen as shown below. I wonder why have they kept the loading screen similar to the loading screen of Windows 8 though it was different for all previous versions of Windows. I hope they change it to a better one in the final release of the version to avoid any confusion between the loading screen of 8 & 10. 5) Now you need to select the type of installation that you wish to do. If you are upgrading an existing installation of Windows say the version 8.1 then choose upgrade else select Custom Installation to multiboot your computer. 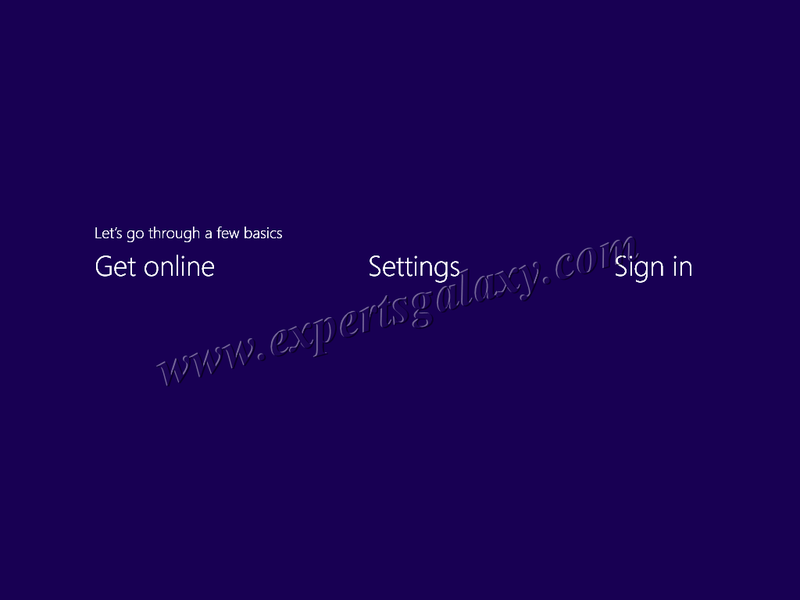 14) On the next screen, you may turn off your OneDrive settings but it is not recommended by Microsoft. It is quite useful as the technology is moving towards Cloud Computing so let it be untouched to save your data and access it anytime even if something happens to the computer. 16) You might be happy to see that the Start Screen is not included anymore in Windows 10 and we are back to the normal desktop with everyone's favorite Start button. 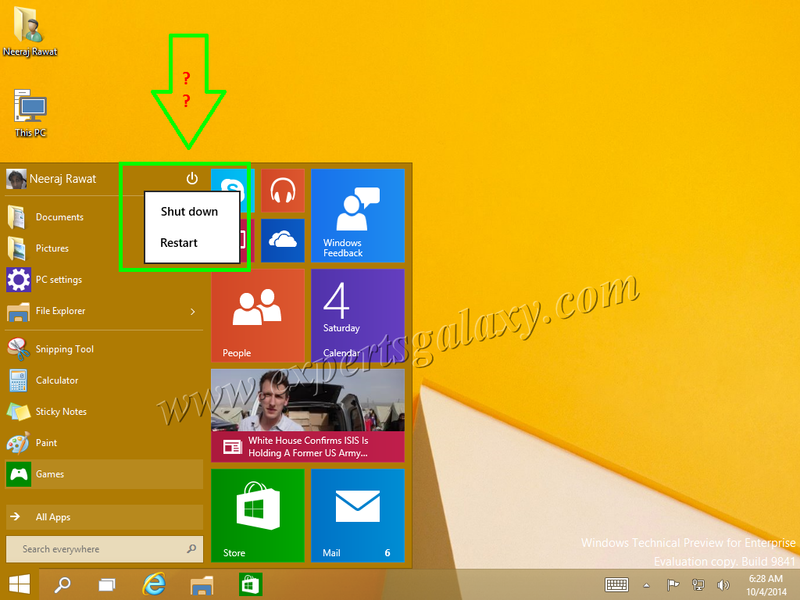 18) Microsoft accepts its fault of removing the start button from Windows 8. When you press the Windows button on your keyboard to launch the start screen then it asks for your feedback to tell them how hard was it to use Start? 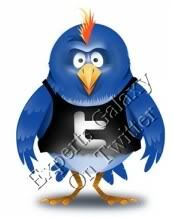 Lol, it was a coincidence for me. They should have retained the start screen appearance, only upon pressing the start button on the keyboard. Might be few people including me liked the feature but removing start button was surely a deadly mistake. I also could not understand even if they included it back then what was the need to reposition the shutdown option at the top. 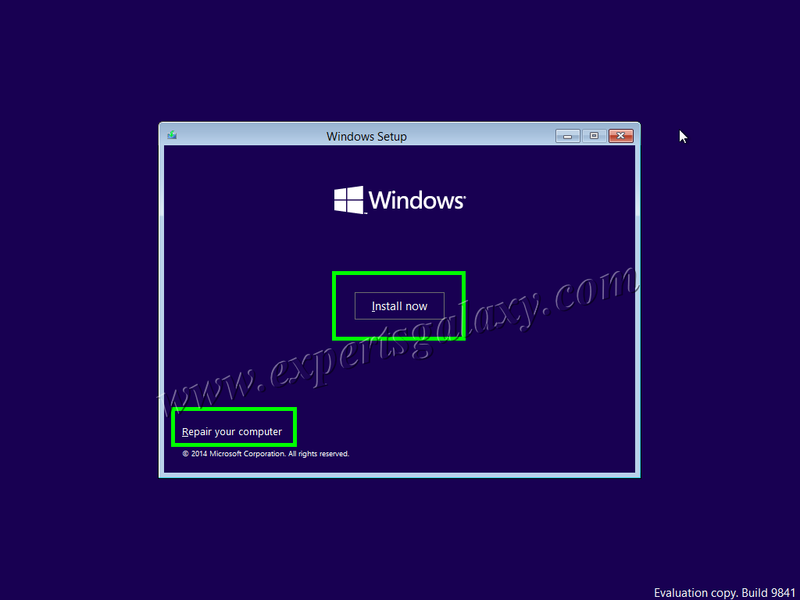 The installation of Windows 10 is similar to the installation of Windows 8 and it seems if one is installing the final version of the previous OS only. I wonder what GUI improvements will they do in the final version as I don't see much changes apart from the reappearance of start button. As of now I only see Windows 10 as a new version to bring the start button back in a user's life but with a pathetic relocation of shut down & restart options. I hope they have increased the security features to greater extent with some improved internal working of Windows. At a glance, one can not tell if he is working on Windows 8.1 or Windows 10 unlike previous versions where one can distinguish among different versions of Windows. What do you think about this latest preview of Windows? Do let us know if you like this technical preview or not? What other changes should be there in the final version? What other improvement would you like to see in the final version of Windows 10?